Remember the discussion about whether to close the bridge in Ivy for 2 weeks, or one-lane it for months? The Verdict is: Two Weeks. 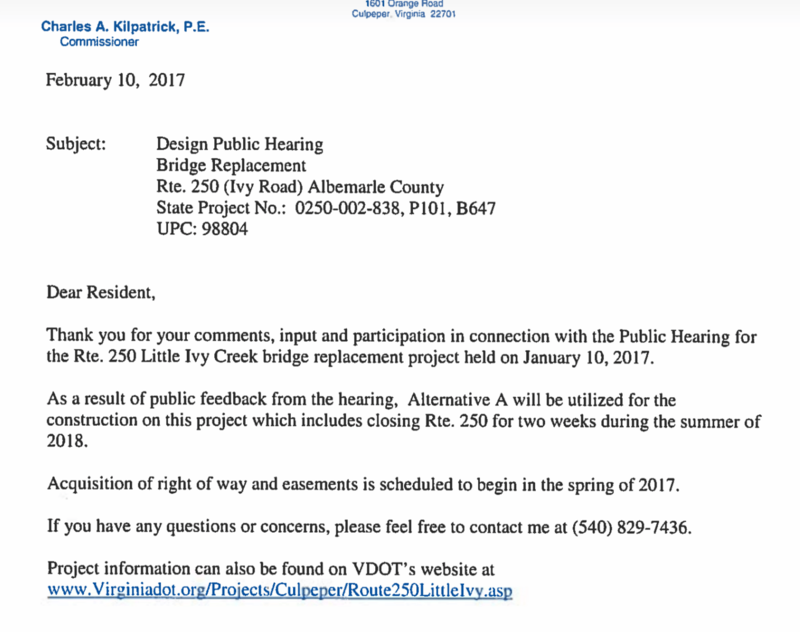 Here’s the letter from VDOT.